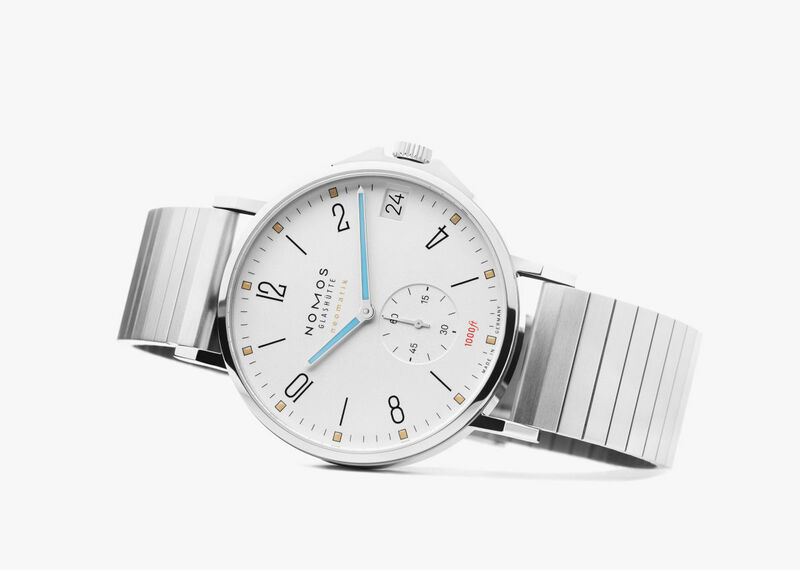 German engineering, world-class watchmaking, and award-winning product design: NOMOS Glashütte's timepieces are all this and more. 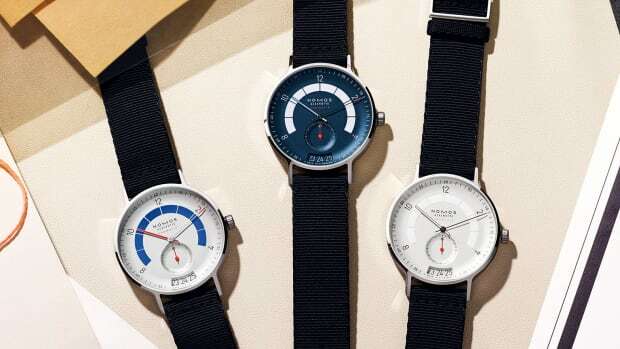 Known for an elegantly understated aesthetic and specialization in mechanical watches, NOMOS Glashütte has developed a cult following and is winning new enthusiasts daily thanks to exciting new releases like the neomatik Sport watches. 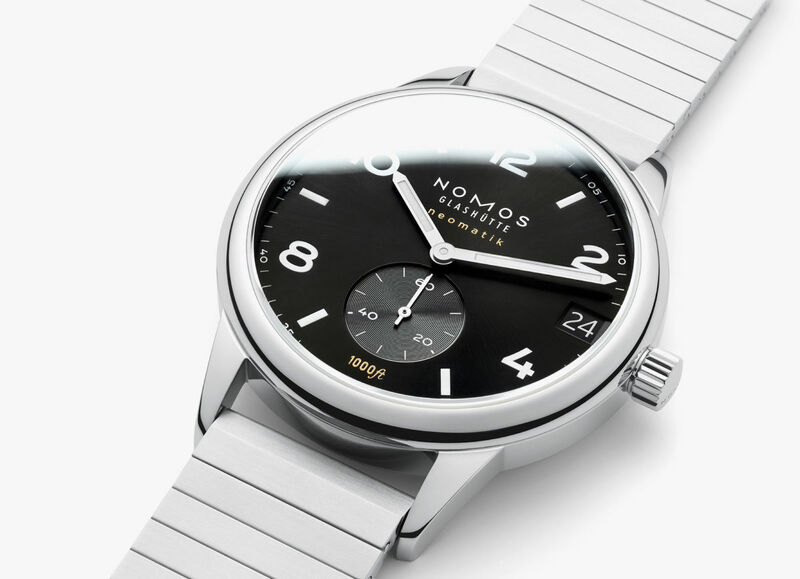 neomatik is the new automatic standard from NOMOS Glashütte based on an ultra-thin in-house movement. 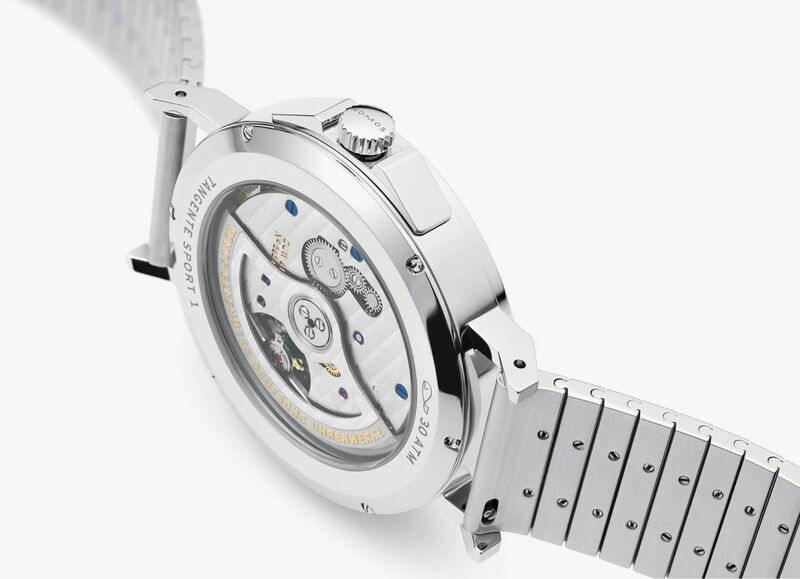 The three robust new sport models are water-resistant to 30 atm and feature an innovative date function, sapphire crystals, and metal bracelets. There are two versions of Tangente models and one Club Sport model to choose from. 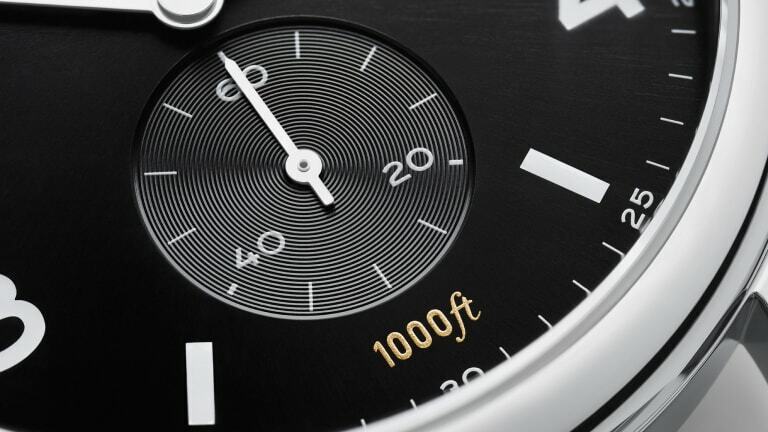 "1000 ft" is inscribed on the dials at six o'clock, highlighting their exceptional water resistance and ability to withstand pressure on land as well. 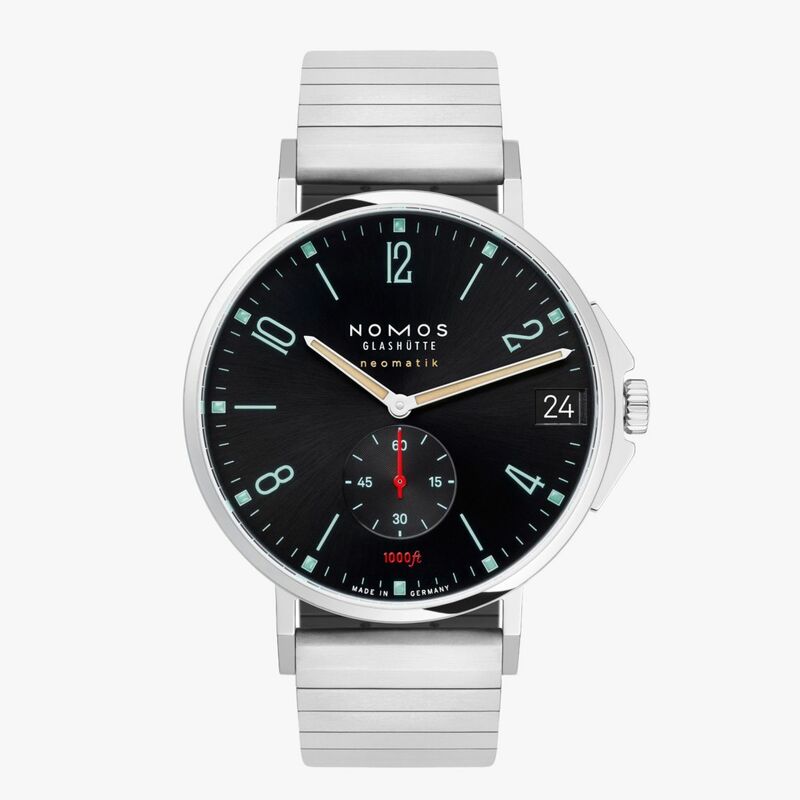 All are finished in high-grade stainless steel and clock in at a generous 42mm in diameter. They also feature extra-thick superluminova inlay on the numerals, indexes, and hands to help tell the time in the dark and under water. The new bracelets, handcrafted from 145 individual parts and featuring a deployant clasps, were developed especially for these models and are extremely comfortable to wear. Two of these new releases, namely one of the new Tangente Sport models and the new Club Sport model, feature attractive black dials. 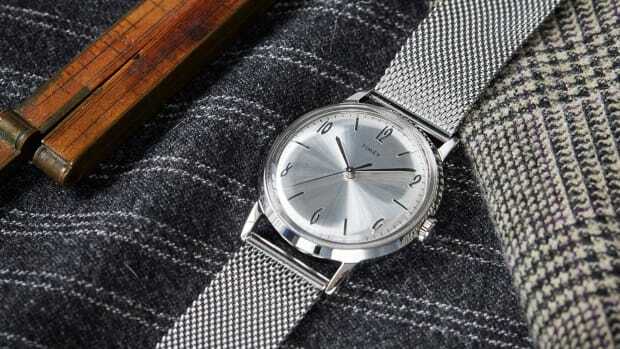 Tangente Sport is also available in a version with a classic white silver-plated dial and handsome blue hands. 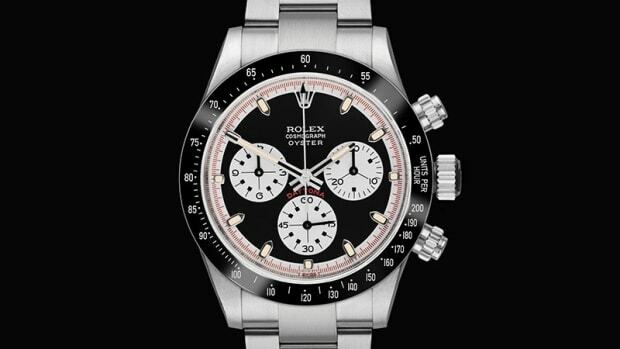 All three of the watches feature a power reserve of 42 hours thanks to the in-house automatic movement DUW 6101. 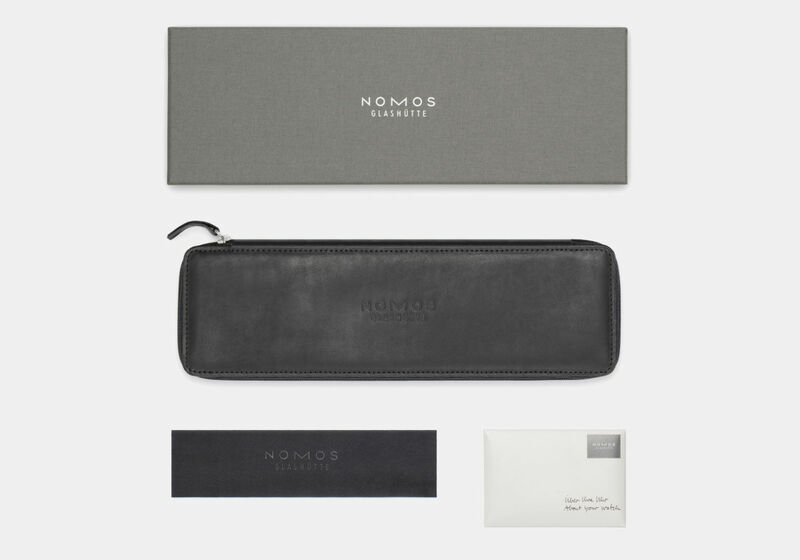 Every automatic timepiece from NOMOS Glashütte comes in an elegant wallet of black full-grain leather to keep the watch the watch well protected in the moments when it's not with you. Ready to get one on your wrist? You can buy Tangente Sport neomatik 42 date for $4,9080 here; Tangente Sport neomatik 42 date marine black for $4,980 here; and Club Sport neomatik 42 date black for $4,060 here.